Apologies for the lack in outfit posts this week. I have just finished up all my exams and school work for the semester, and I am so excited to share some exciting things here soon! 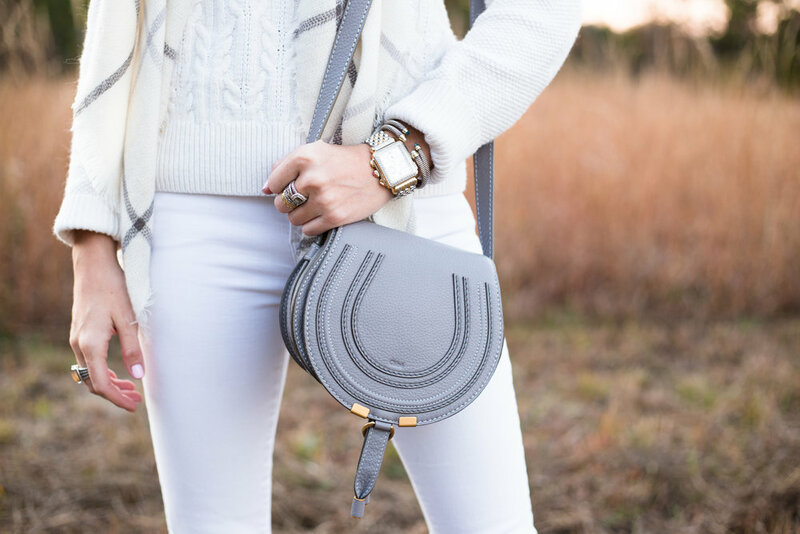 This outfit is one I wore over Thanksgiving, and it is a combination of so many of my favorite fall/winter items. 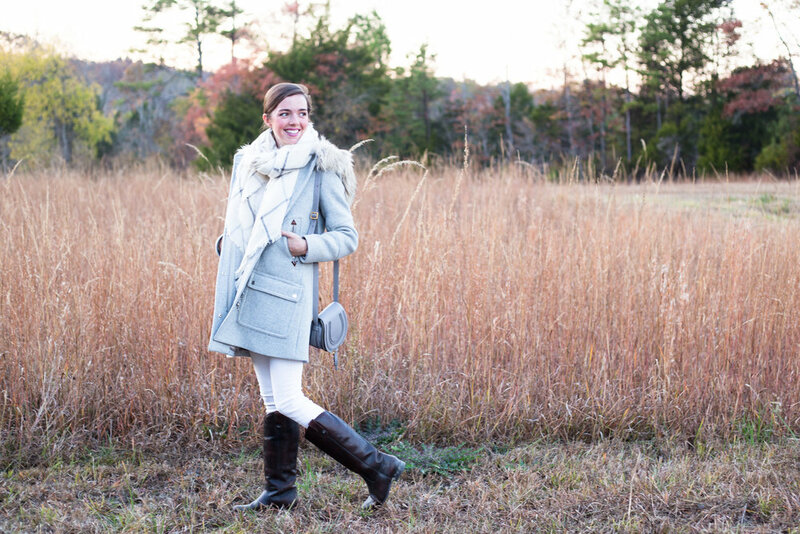 First, this coat has been a winter staple for me for over two years... it's the BEST. It's currently 40% off here and comes in several colors! 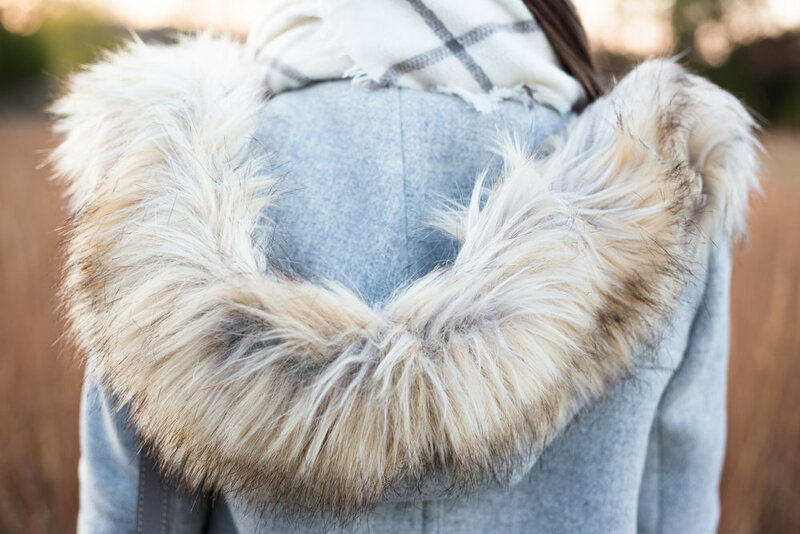 It provides the perfect amount of warmth, goes with everything, and the fur trimmed hood is so cute! 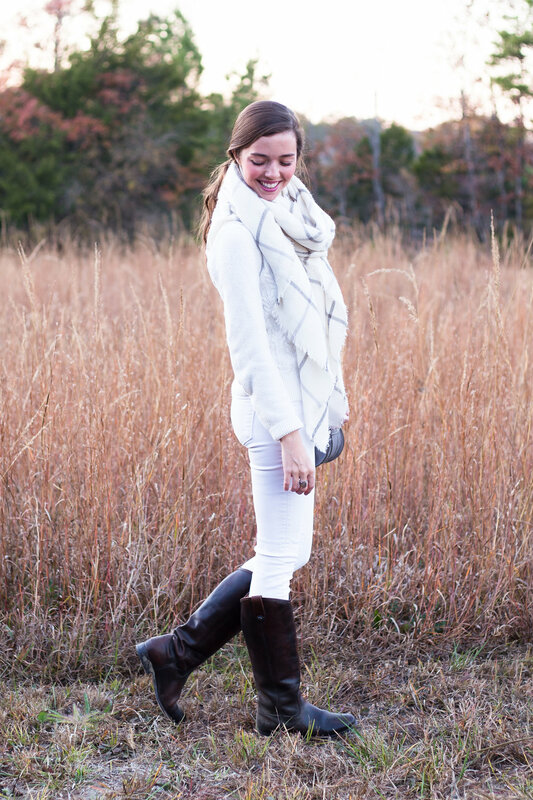 I love my white jeans and definitely don't put them away for fall/winter. I put together a "winter white" look by wearing a comfy white cable knit sweater with my white jeans. 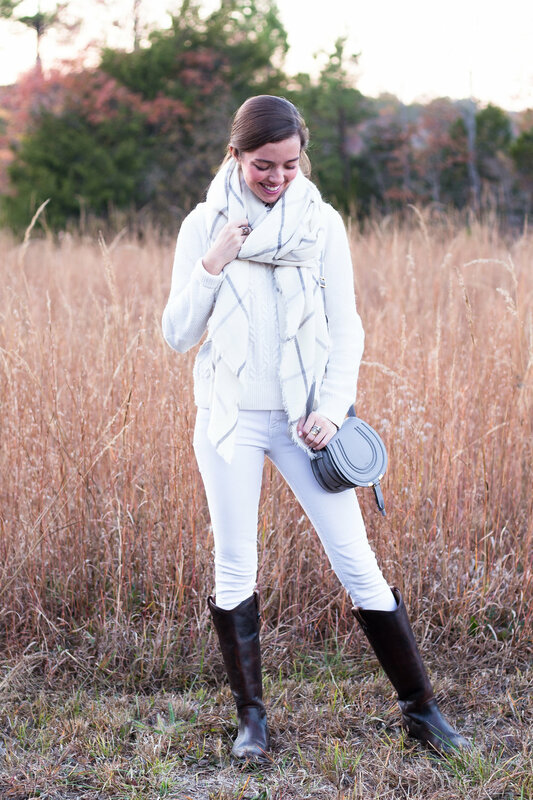 The best way to wear white during the winter is to layer on heavier fabrics like a chunky sweater or scarf. Also, these Frye boots are another cold weather staple in my wardrobe, and I have gotten SO much wear out of them over the years. They're so incredibly comfortable! This style is on sale here.